﻿ Is it possible that QSFP+ optical modules be used on the QSFP28 port? With the rapid development of optical communications in recent years, the user demand for the network has also soared. The rapid rise of 100G optical transceiver in the market has become the focus of attention of users. Users of 100G networks often meet some problems. For example, the maximum transmission distance of QSFP28 optical module is 10km. To achieve a longer distance data transmission, need to use 40G QSFP+ optical module on the 100G switch. So many users may have doubts, can QSFP+ optical module be used on the QSFP28 port of 100G switch? Or can QSFP28 optical module be used on the QSFP+ port? Fiberland will answer these two questions for you. The dimensions of QSFP28 and QSFP+ module is same, but their transmission mode is different. The former is 4x10G or 4x25G, and the latter is 4x10G, so the 100G QSFP28 port can use QSFP+ optical module or QSFP28 optical module. 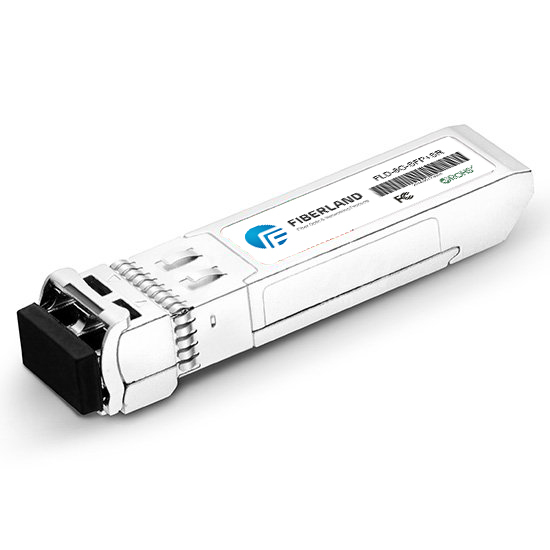 The SFP+ optical module cannot run on the SFP port, QSFP28 optical module also can not be used on the QSFP+ port. The port of the optical module must match the port shape of the switch, and the port rate of the switch should be equal to or greater than the rate of the optical module used. The QSFP28 port can use the QSFP+ optical module, but the QSFP28 optical module cannot be used on the QSFP+ port. When you use QSFP modules on the QSFP28 port, remember to configure the switches. To ensure network transmission is normal, you need to make sure that both ends connector are the same, there is no compatibility. The above QSFP+ modules and QSFP28 modules are available, welcome to contact.